A new pilot programme is now open for applications under the Youth Stream of the Industry Skills Fund. The Training for Employment Scholarships programme aims to help deliver skilled young employees to businesses in regions where unemployment is high. If you are a business in one of the selected regions, have fewer than 200 staff and hire an unemployed person aged 18-24 years after 1 March 2015, then you may be eligible for funding of up to $7500 to help your young employee gain new skills or qualifications. Businesses and community service organisations in the selected regions have until 29 February 2016 to apply through the online application form. The Industry Skills Fund was launched on 1 January 2015 and forms a key part of the Australian Government’s ambitious VET reform program aimed at lifting the quality of training providers and courses to improve the employment prospects of students and the competitiveness of Australia’s economy. Visit the Industry Skills - Youth Stream page today to find out whether your business is eligible or call 13 28 46. Need help with your application? Join a free Australian Training Awards webinar! The Australian Training Awards together with VETnetwork Australia are pleased to present a series of free webinars designed to provide Australian Training Awards applicants with information, tips and tricks on how to apply, and why to apply for five of the seven direct entry categories of the Australian Training Awards. The Australian Training Awards are the peak, national awards for the vocational education and training (VET) sector. For over 20 years, the Awards have recognised the outstanding achievements of apprentices, trainees, vocational students, training practitioners, businesses, secondary schools and registered training organisations and their contribution to skilling Australia. There are 18 categories presented at the Australian Training Awards. The majority of the awards receive entries via state and territory training awards programmes, however seven awards are available by direct entry. Applicants may have the opportunity to reach the national stage in November this year and gain Australia-wide recognition for the work they do. International Training Provider of the Year Award (Webinar - Thursday 30 April 2015 2.30pm to 3.30pm (AEST)). For more information about the webinar series, visit www.australiantrainingawards.gov.au or phone (02) 6240 8155. Applications for the Australian Training Awards direct entry categories close on Friday 29 May 2015. The 2015 Australian Training Awards will be held in Hobart on Thursday 19 November 2015. The Assistant Minister for Education and Training, Senator the Hon Simon Birmingham, is taking strong action to stamp out the abuse of the VET FEE-HELP scheme. The Minister has announced legislative and other changes to deal with rogue training providers and better protect students. protect vulnerable students by requiring providers to properly assess students before enrolment. For further information, please visit StudyAssist.gov.au. On 16 March 2015 legislative amendments were passed by the Australian Parliament to further target unscrupulous vocational education and training providers and improve training quality. extend the registration period for RTOs from five to seven years so the national training regulator, the Australian Skills Quality Authority (ASQA), can focus its attention on investigating and acting upon high risk,poor quality providers. Senator the Hon Simon Birmingham, Assistant Minister for Education and Training, said this will enable ASQA to take action against an RTO, where it, or its marketing agent or broker, fail to provide clear information to a prospective student about the qualification they are signing up for, where the training will be undertaken, how long the course will take, what support services are available and the associated costs. These amendments to the Act build on the significant reforms being implemented across the VET sector, including a national VET complaints hotline, improved data reporting, $68 million to strengthen ASQA, new trade support loans and tougher new standards for RTOs. The amendments will be enacted into law subject to Royal Assent. The USI was launched on 1 January this year, and is now a part of meeting VET data collection and reporting requirements. Over 1.5 million USIs have already been created, and most of Australia’s training organisations are now connected to the USI registry system, making it a part of their business. If you are a student, having a USI ready at enrolment will save delays in getting your Certificate or Statement of Attainment at the end of your training. The key is to become USI-ready as soon as possible. If you don’t already have your USI, create one today. It’s free and easy to do. You’ll also be on the way to having a lifetime record of all your training that you can access online anywhere. If you area a training organisation, having the USI as part of your enrolment processes will generally make managing your reporting requirements easier. Remember, you will still need to verify a student’s USI even if you don’t plan on creating a USI on their behalf, so get connected with us today! The USI team has got some handy tips and helpful video resources in its USI Help Centre that you may find useful. Stay up to date with the latest news on the USI via the website. You can contact the USI Office for further information via the chat function. Alternatively, call 13 38 73 or send an email. Do you want to know more about your learners’ work related skills or LLN skills? The Australian Council for Educational Research (ACER) is developing the comprehensive Foundation Skills Assessment Tool (FSAT) for the Australian Government. The FSAT is mapped against the Australian Core Skills Framework (ACSF) for language, literacy and numeracy skills and against the Core Skills for Work Developmental Framework (CSfW) for employability skills. Trials of FSAT have now commenced and will continue until at least the end of April 2015. Whilst ACER has received many expressions of interest in participating in the FSAT trials, more participants are required to undertake the assessments. The Fulbright Commission will be traveling to institutions in each state and territory to conduct information sessions on Fulbright Scholarships in April and May. The 2016 Fulbright Scholarship round opens on 1 May 2015 and closes on 1 August 2015. How do employers go about recruiting apprentices? What happens in an interview? These are key questions often asked by students and jobseekers. Some answers are provided in a new series of videos showing employers in the construction industry in the ACT talking about their approach to recruitment. This information is valuable for anyone job hunting for an apprenticeship in any industry. Four videos in the Australian Apprenticeships Construction Pathways – Employer Stories series have been published by the Australian Apprenticeships and Traineeships Information Service. More employer videos will be added over coming weeks. These videos are a product of the 2014 ACT Better Linkages between Employment and Training Initiative, administered by the ACT Government under the National Partnership Agreement on Skills Reform. The Apprentices and trainees 2014: September quarter report, released in March 2015, notes that the number of apprentices and trainees in training as at 30 September 2014 was 341,300. This is a decrease of 18.4 per cent from September 2013. The full report, as well as data for states and territories, is available on NCVER’s website. Why do RTOs struggle with compliance? Learning with eModules – is it ‘all that’? Are your Moodle courses taking ages to load? CPSISC has launched a redeveloped resource database which has been reformatted into a new sleek and user-friendly design. The database provides a searchable list of resources which can help you to use the CPP07 and CPC08 Training Packages. It details a wide range of resources in different formats which can support learning, training, assessment, language, literacy and numeracy, and professional development. To visit the resource database, click on the link at the Products & Resources section of CPSISC's website. Click on the green button next to each resource for further details. If you know of any relevant construction or property services resources that aren’t included in the database, let CPSISC know! You can email CPSISC with details of the resource, and help to keep the database current and comprehensive. CPSISC is pleased to announce that the new CPP Property Services Training Package (containing one new qualification, CPP40115 Certificate IV in Building Design Drafting, and 13 new related units of competency) has been endorsed and is now available on training.gov.au. CPP Property Services Training Package is CPSISC’s first training package endorsed under the Standards for Training Packages. The Implementation Guide for CPP can be accessed on CPSISC's website. CPSISC’s January-March 2015 newsletter is now available to read at CPSISC’s website. It includes articles on VET reform, World Plumbing Day and the 2015 intergenerational report, as well as information on CPSISC products, resources and contacts. MSA’s 2015 Environmental Scan has been launched, and identifies a number of key priorities for 2015. These include shifting the manufacturing dialogue to a more positive one that reflects the innovative, advanced industry that manufacturing is today, and developing management and leadership skills to effectively navigate global market conditions. The report covers the industry’s views on innovation, productivity, VET reform and policy. It identifies where the workforce development priorities are for manufacturing sectors and what training is taking place. MSA’s 2015 Environmental Scan is now available on MSA's website. Consultation drafts of new TCF qualifications have been released for feedback. As part of this consultation MSA will be running a series of workshops and an industry webinar in April 2015. The Laboratory Operations units and qualifications are being updated to comply with the NSSC Standards for Training Packages. First drafts of the reformatted MSL units are available for review and feedback. Training providers, assessors and other industry stakeholders attended MSA’s March workshop to gain a clear understanding of changes to the MSA, PMA, PMB and PMC Training Packages. Due to popular demand, MSA will be holding a series of workshops in April in Brisbane, Melbourne and Perth. These training package workshops provide an opportunity for stakeholders to get answers to their questions and gain advice about relevant resources, implications of new training package formats and implementation. You can register online for an April workshop. More than 80 aerospace leaders and dignitaries attended MSA’s Future Directions Conference during the Australian International Airshow 2015, at Avalon Airport. Delegates discussed the significant growth predicted for the aviation industry in the Asia-Pacific region, and stressed the importance of maintaining Australian workforce capacity and capability in order to capitalise on this opportunity. The improved MEA Aeroskills Training Package was officially launched by Mike Mrdak, Secretary, Department of Infrastructure and Regional Development. Guests heard inspiring stories of passionate careers in aircraft engineering and of new 3D printing technology that has seen the first 3D printed jet engines. It is certainly an exciting space to watch, as the aerospace industry will continue to need a fully trained, skilled and competent workforce into the future. If you’ve got an innovative idea for extending the capability and performance of the Australian manufacturing workforce, here’s an award that can help you bring it into action. In honour of the ever dynamic and problem solving Rilda Mossop, MSA and International Specialised Skills Institute are offering one innovative person a chance to learn from industry and educators overseas to develop their ideas. Valued at $12,500, the award is open to all students, teachers, trainers, assessors, enterprise owners and employees who are operating within manufacturing. Applications close 4.00pm, 20 April 2015. The application process isn’t complicated and MSA is here to help you. Don’t delay – manufacturing needs you! Apply now! The Australian Workplace Practitioner’s Network (AWPN) continued to shine a light on foundation skills at its national conference held in Melbourne during March. Keynote speakers discussed implementation of a range of government initiatives, and the importance of a whole of industry approach to improve foundation skills in the workplace. Attendees also heard about the progress being made in New Zealand, one of the only countries globally to successfully lift its foundation skill levels in the past 10 years, and were introduced to tools being applied. The development of workplace foundation skills is a high priority for manufacturers and a critical element in developing the higher-level skills that manufacturing enterprises increasingly depend on. MSA’s CEO, Bob Paton, and Deputy CEO, Cameron Baker, presented at the conference on the importance of foundation skills in the manufacturing industry and the importance of networks such as AWPN in addressing workplace foundation skills needs. MSA has been strongly involved in initiatives that support VET practitioners and industry in the development of foundation skills in the manufacturing workforce. This now includes an updated web page with a new report highlighting the foundation skills needs of manufacturing, and products to help practitioners map training to the Australian Core Skills Framework (ACSF). MSA conducted comprehensive mapping of the ACSF against 17 of its most highly used qualifications and four skill sets. This mapping information will assist trainers and assessors to clearly identify the required ACSF levels for training outcomes. You can now view MSA’s foundation skills page and free foundation skills resources. The Women in Adult and Vocational Education (WAVE) National Conference will focus on issues specific to women and girls entering, navigating and completing adult and vocational education. The April 2015 conference is being held in partnership with MSA. All women involved in VET, adult, community and all work-based education are invited to join MSA at this prestigious event. Registration is now open. Further information about this conference is available in the Events section of this newsletter. The resources and infrastructure industry continues to be a key driver of the Australian economy. Despite recent commodity price fluctuations in response to slower growth in demand and stronger increases in supply, the industry still accounts for over 8.25 per cent of Australia’s Gross Domestic Product. SkillsDMC’s 2015 Environmental Scan provides robust and reasoned insights into industry’s current and future skilling needs. It is designed to prepare industry and governments for the challenges and opportunities ahead and the likely demand for industry’s diverse skills base. The Environmental Scan is now available on SkillsDMC’s website. This month we are introducing three new Australian Apprenticeships Ambassadors. We hope you enjoy their stories! Having dreamed of a career in creative fashion, Jessica Baczyski’s Australian Apprenticeship led to her working at fashion festivals in both Canberra and Melbourne, as well as at L’Oreal Melbourne Fashion Week. Jessica was able to tailor her training programme and work at her own pace and, now that she has completed her apprenticeship, is looking forward to entering competitions and travelling while continuing her studies. She was the ACT Apprentice of the Year in 2014 and a finalist for the Australian Apprentice of the Year Award at the Australian Training Awards in the same year. You can read more about Jessica’s fashionable journey here. 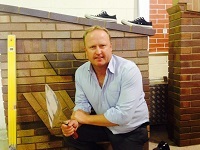 Since completing his bricklaying qualification, Troy Everett has travelled all over the world to provide technical advice and to compete in international skills competitions. He was unanimously voted the International Chief Expert for Bricklaying for this year’s WorldSkills International Competition in São Paulo, Brazil, and recently worked with a team in Bangladesh to provide clean drinking water to a remote community. Troy enjoys the responsibility of contributing to a building’s visual aspect, and likes working with his hands and meeting new people. You can read more about Troy’s amazing experiences here. 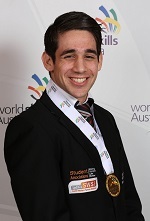 Matthew Papandrea’s enjoyment of his trade was obvious to his teachers at TAFE, who encouraged him to enter competitions. He has since won a WorldSkills Australia national competition gold medal and, through the BBM Skilled Futures Program, undertook a two week leadership course in Europe and was able to gain experience working in butcher shops in England and Denmark, including one owned by Jamie Oliver. Now working in the family business and building his own house, Matthew believes that “putting yourself out there” is the best way to learn. You can read more of Matthew’s tips for success here. ACER's 2015 National Adult Language Literacy and Numeracy Assessment Conference has the theme Equipping for the future: assess, train, learn and will have different streams focused on VET practitioners alongside streams targeted at industry, researchers and policy makers. This two-day national conference, the fourth to be run by ACER, will provide opportunity for key industry and business personnel and VET and LLN researchers, policymakers, training managers, trainers and coordinators from around Australia to get together to share insights and address a range of crucial issues surrounding adult and youth literacy and numeracy assessment, teaching and learning. ACER will also be running two full-day pre-conference workshops designed to complement the conference. This will give practitioners access to more intensive, hands-on workshops from key Australian educators and trainers – one on employability skills (Work ready, set, GO!) and one on the crucial and often forgotten core skill of numeracy (Engaging ALL Learners in Maths and Numeracy). Get in early as places are limited and costs are greatly reduced for conference participants. The NALLNAC programme is now available and early bird registrations are open. Please visit the conference website for information. Training Providers Forum is Western Australia's leading forum on training and workforce development. This two day conference and exhibition will provide the latest updates on training and workforce development and showcase examples of innovation and good practice. This is a great professional development and networking opportunity for all training professionals. The exhibition is a major component of Training Providers Forum with 40 exhibition booths and a limited number of sponsorship packages available in 2015. If you are interested in becoming a sponsor or exhibitor and would like more information, please send an email. Aspire is proud to announce the release of its new range of FSK Foundation skills resources. summaries at the end of each topic. a record of outcome to record overall competency. All of Aspire’s new FSK units are available as Online Learning units. The print and online versions match, which allows for simpler preparation of blended delivery. There is a matching Trainer’s and Assessor’s Guide and Assessment Resource for each learner guide – both of these products are downloadable and sent to you as soon as you purchase them! If you would like to provide feedback, supply an article for inclusion in the next edition or join our list of subscribers, please email skillsatwork@education.gov.au. The next edition will be published in May 2015. Submissions are due by 17 April 2015.